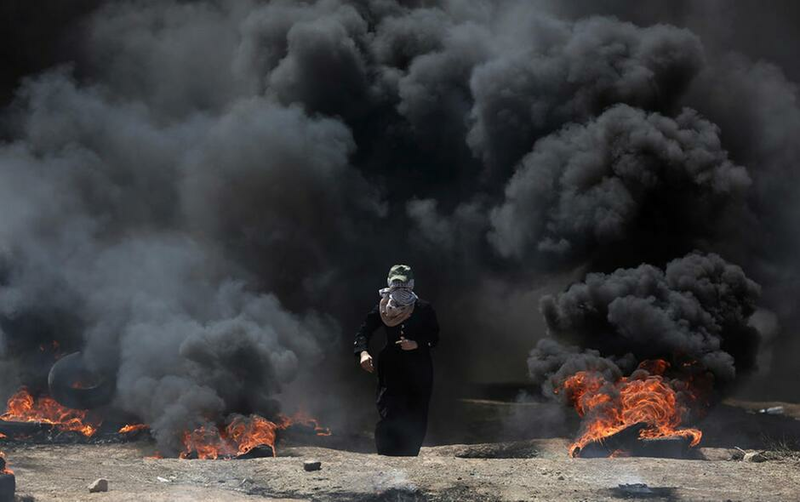 A Palestinian woman walks through black smoke from burning tires during a protest on the Gaza Strip's border with Israel, Monday, May 14, 2018. Thousands of Palestinians are protesting near Gaza's border with Israel, as Israel prepared for the festive inauguration of a new U.S. Embassy in contested Jerusalem. The statement comes as at least 41 Palestinians, including five minors, were killed by Israeli forces Monday. 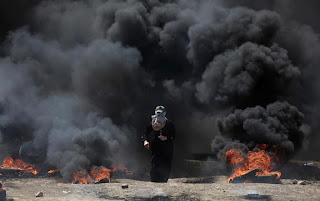 More than 770 Palestinians were wounded in protests in the Gaza Strip.